There many famous people that were born in Tampa, Florida. Some of them were born, raised and live in Tampa, while others relocated from the area while they were still young. 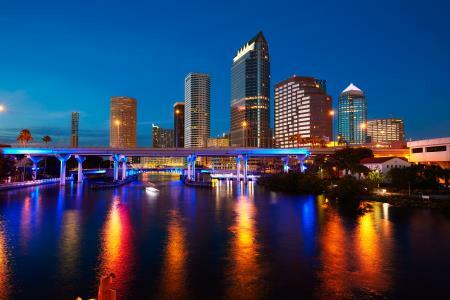 From singers, baseball players, award-winning producers and actors, there many individuals that call Tampa home. Tampa locals may be knowing some of this famous figures but other names may come as a surprise. This article will cover the details of 5 famous people from Tampa. Famously known as Sarah Paulson, this American stage, film and television actress was born in Tampa in the year 1974. She began her acting career in the 1990s. Since then, she has starred in notable television series like Jack & Jill and American Gothic. In addition to having very dramatic roles in films like The Notorious Bettie Page and Path to War, Sarah Paulson has appeared in comedy films like Down with Love and What Women Want. In the plays category, she has had roles in Collected Stories and The Glass Menagerie. These are just a couple of this celebrity’s films. He is a famous American professional baseball player, executive, and manager born in the year 1944. Currently, he is the chief baseball advisor and analyst for the Arizona Diamondbacks. It’s his tenures as manager of MLB (St. Louis Cardinals of Major League Baseball), Oakland Athletics and the Chicago White Sox, that have made him so famous. During his term as manager, Anthony La Russa, Jr. successfully guided his teams to 12 division titles in about 33 seasons, six league championships, and three World Series titles. His career as a player began in 1962 and continued to 1977 and a managerial career began in 1978 and went up to 2011. From the year 2012 to date, he grows his executive career. This is a famous entrepreneur and producer of films, born in the year 1977. He is well known for films such as Lone Survivor, Escape Plan, Everest, Broken City, and End of Watch among others. Before staring film production, he was the owner of NBA Development League franchise. His film production has continued to grow over the years, an aspect that makes him so famous. She is an American actress known for her roles as Becky in Compliance, Becca on The Good Wife, and Williams Hazel on Gossip Girl among others. Currently, she appears in the famous CBS legal drama Doubt. She was born in 1986 and began her career in 2006. Her fame continues to grow as she continues to feature in many films. From the above list, it’s clear that there are many individuals born in Tampa that have been lucky to be among the top list of celebrities. It’s a challenge to the young locals that the sky is the limit. You too can feel like a celebrity with a limo rental Tampa.